Our McKinley Fir has all the charm of the quintessential Christmas tree. Taking after the iconic silhouette of a real fir, this tree boasts a slim figure and lush foliage in a forest green hue. Choose the clear lit tree for that classic Christmas look or the multicolor tree option to create a festive, fun-filled atmosphere. 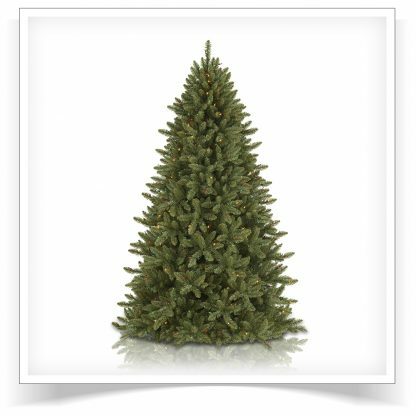 From tips to trunk to stand, this artificial fir tree is made from high-quality materials. Its hinged construction make set-up a breeze, while in-and-out branches showcase ornaments beautifully. Whether you’re going for an eclectic holiday display or a contemporary design, our McKinley Fir Christmas Tree will make your decorating dreams come true.